According to a recent survey conducted at this year’s Black Hat USA security conference, nearly two-thirds of organizations are potential targets for nation-state cyberattacks. The survey conducted by Tripwire, which includes responses from 215 conference attendees, also found that 86 percent of those questioned have seen an increase in these targeted attacks directed at their network over the last year. Even more alarming, however, was that despite the noticeable increase in attacks, less than half of the respondents (47 percent) said confidence in their organizations’ ability to detect and respond to a cyberattack grew in the last 12 months. 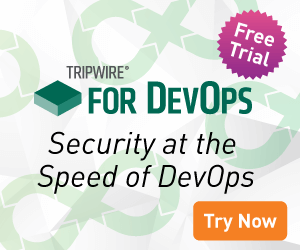 “Organizations know they are being actively targeted and that their current capabilities aren’t enough to consistently detect and defend against these attacks,” said Tim Erlin, director of IT security and risk strategy for Tripwire. “While new defensive technologies are constantly being developed, organizations are hard-pressed to deploy these new tools effectively,” he said. Erlin noted that in many cases, these organizations would do well to evaluate their investment in foundational security controls. Nearly two-thirds (64 percent) of respondents said targeted attacks against their networks have increased over the last year by 20 percent or more. More than half (53 percent) of respondents said they do not have the visibility necessary for accurate tracking of all the threats targeting their networks. Forty-one percent of respondents said they have seen a significant increase in the number of successful cyberattacks in the last 12 months.